I grew up eating canned spinach and watching old Popeye cartoons on TV. We didn't eat a lot of spinach, but when we ate it, it was canned, with a little vinegar poured over it. 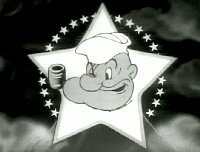 Popeye, the corncob-pipe smoking, cantankerous, seagoing punching bag for his pal Brutus, would get his clock cleaned until he popped open a can of spinach and then he whipped Brutus until Big B saw stars. There's a lesson to be learned there. I'm not sure what it is, but I don't think it was about cooking. I never had fresh spinach until I was an adult. Most people believe spinach originated in Persia. The Saracens or Moors introduced the leafy green plant to Sicily where it spread northward and then around the Mediterranean for hundreds of years before it found its way to France and England in the 1300s. 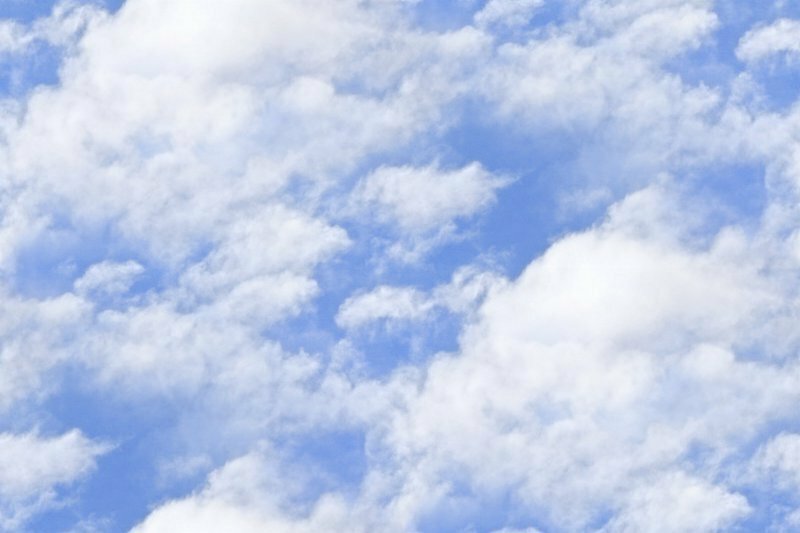 In the culinary world, "Florentine" recipes usually mean spinach is involved somewhere in the list of ingredients, perhaps because Florence was the center of art and civilization for so many years. Spinach has a high nutritional value and is extremely rich in antioxidants, making it one of the superfoods. It's best served fresh, steamed, or quickly boiled. Canned is only a last resort. 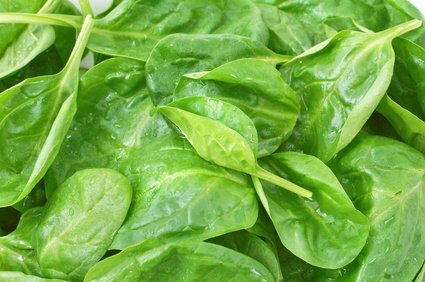 The website, World's Healthiest Foods, says, "Among the World's Healthiest vegetables, spinach comes out at the top of our ranking list for nutrient richness. Rich in vitamins and minerals, it is also concentrated in health-promoting phytonutrients such as carotenoids (beta-carotene, lutein, and zeaxanthin) and flavonoids to provide you with powerful antioxidant protection." Michael T. Simonich, Ph.D., a Research Associate at the Linus Pauling Institute writing in his paper, Cancer Prevention by Chlorophylls, gets even more specific, "Another lab reported that dietary spinach or an equivalent dose of chlorophyll equally inhibited the proliferation of cancer cells in rats induced by heme, an iron containing pro- oxidant from red meat that is correlated with increased risk of colon cancer. The chlorophyll-containing diets also largely blocked formation of a toxic heme metabolite. The authors speculated that green vegetables may decrease colon cancer risk from dietary heme through the protective effects of chlorophyll." 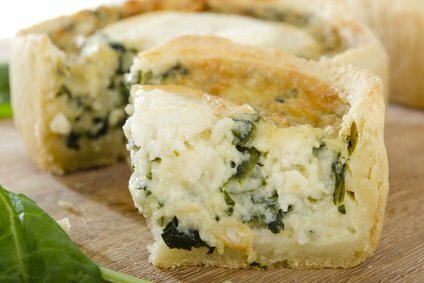 With spinach the brighter the green the healthier it is for you. Fresh is best. It's easy to add fresh spinach to your salads or into your scrambled eggs. For a nice change-up try spinach on your tuna sandwich. 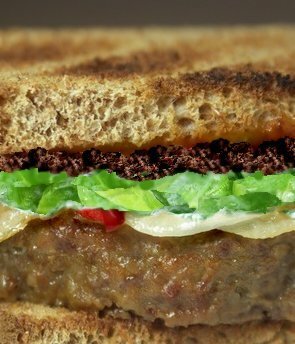 Or try toasted whole grain bread (like that baked by Roman Meal) with a slice of Italian meatloaf topped with caramelized onions and red peppers. Add fresh spinach and a green or black olive tapenade with a little melted Fontina cheese from the Alps and you've got a sandwich fit for a nobleman from Florence. If you're going to eat spinach and get in a fight, you may as well enjoy the meal and fight cancer. Popeye would be proud. Fresh Spinach for Taste and Cancer Fighting Benefits, spinach cancer, spinache recipe suggestion, nutritional benefits of spinach, free nutrition content article, Healthy Aging Article, Healthy Living Article.